People go to Canyon Ranch for a lot of reasons -- to get healthy, lose some weight, have fun, get over a death, deal with heart disease. And it's a sign of its unique qualities that it can meet all those needs. 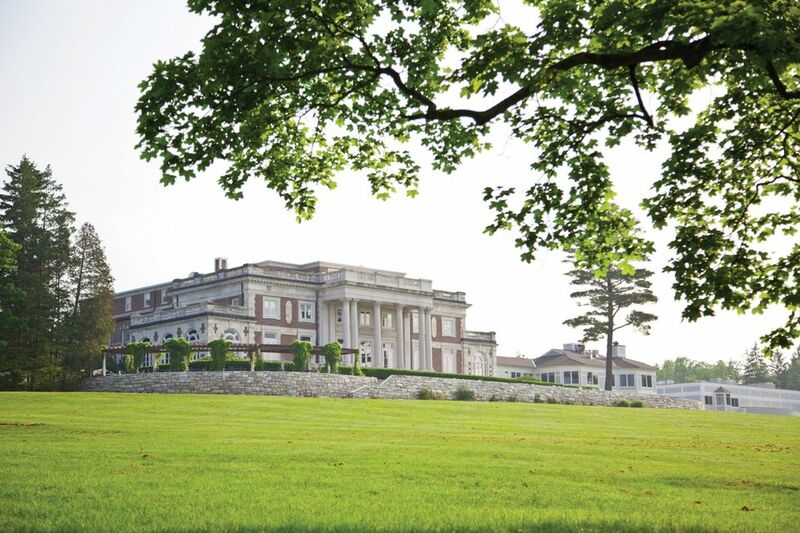 Consistently rated one of the country’s finest health and wellness spas, Canyon Ranch in Lenox, Massachusetts is a sprawling complex constructed around an 1890 Italianate mansion. Like its sister property in Tucson, Canyon Ranch's unique strength is the extensive, expert staff of medical doctors, life management therapists, nutritionists, exercise physiologists, physical therapists and spiritual wellness advisors to help you become healthier on every level. You don’t need to come to Canyon Ranch for a pedicure. What really makes it special is its health and healing services. Many people go there to address a specific health issue – chronic pain or heart disease, for instance. Potential problems are identified and corrected before you actually get sick. If you’re already healthy, it’s a great place to reinforce your good habits and make some improvements. For instance, they could design a custom strength-training program for you. At Canyon Ranch in Lenox, there is a staggering number of ways to spend your time -- at least 40 classes or lectures a day. Some people head out in the morning for long hikes or canoeing, others can keep to the complex, trying tai chi, and Thai massage. You can also learn meditation techniques and attend lectures on subjects like preventing bone loss, healthy snacking, homeopathic medicine and stress reduction. In the dining room, you learn ways to incorporate some of the suggestions you hear about in the lectures. The salad bar has bowls of sunflower and ground flax seeds for tossing over your greens, and signs ask that you be mindful of portion size. All the menu listings have calories, fiber grams, and protein grams. And there are so many appetizing choices, including desserts, that you realize you don’t have to be deprived to eat well. No alcohol is served, which might feel very annoying at first, but once you realize what three days of clean living an feel like, you'll be grateful. Canyon Ranch’s outstanding service, staff and programming is expensive to provide and it will cost you. Is Canyon Ranch Right for You? All you want to do is relax by a pool and get a massage, there are less expensive ways to do it, so consider trying a resort spa instead. But if you want activities and programming, no one does it better, and for extensive health and healing services, it’s one of a kind. To maximize the experience, sleep in Lenox the night before check-in, and arrive at 8 a.m. in the morning. Just stash your luggage with the bellman and live out of a spa locker til check-in. The same goes at the other end of the trip. It also takes a half-day just to get oriented – to take the tour, study the weekly newsletter and meet with your program coordinator and nurse to develop a strategy and focus for your stay. The only downside to Canyon Ranch is the attitude of some of the other visitors. And many people ignore the rule to keep cell phones restricted to their rooms. Most were friendly, though you might hear more details of their treatments than youd like. Many consider Canyon Ranch a second home, someplace to drop in every few months for a refresher. For others, it's a much anticipated yearly event. Reservations: 1-800-742-6494 or see their website.